Formations refer to the structure in which a football team is set up on the field of play. Modern football has a plethora of formations, each modified slightly to suit the team and its personnel. Formations aren’t set in stone for any team, but provide the basic framework for player positioning and roles, and give the team structure and discipline, which help optimize their game. Present day football has teams using a variety of different formations, but this wasn’t the case not so long ago. 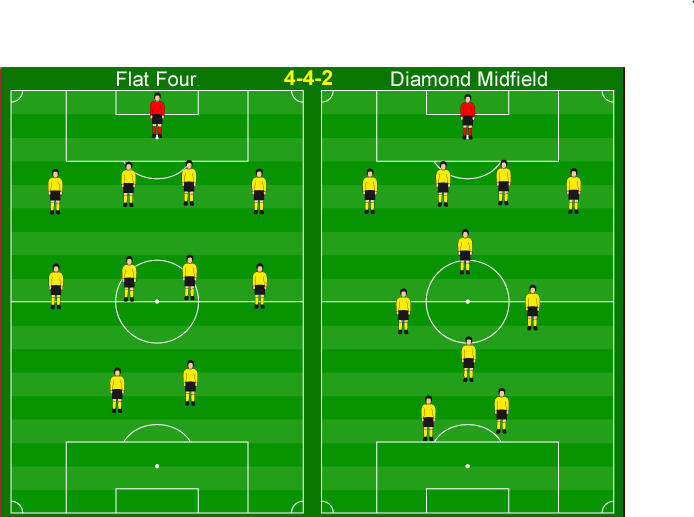 By far, the 4-4-2 was the most common formation used, and team lived and died by the 2 striker system. Most teams used the 4-4-2 with a flat midfield four, with two central midfielders providing defensive cover, relying heavily on the interplay between the two strikers to create chances. The conventional 4-4-2 had two big strikers getting into the box to attack crosses put in by the two wingers. Bigger teams, on the other hand, couldn’t afford to play such basic football, and often had one striker drop slightly deeper to link play more effectively, in what was basically a precursor to the modern 4-2-3-1. Another variant of the 4-4-2 that developed slightly later was the 4-4-2 diamond, as pictured below, which relied more on the full backs for width, while the two strikers were fed by an advanced, creative midfielder, who had comparatively less defensive duties. The wingers were narrower but still got forward, while the deepest midfielder was solely a defensive shield, in the Makelele role of destroyer. 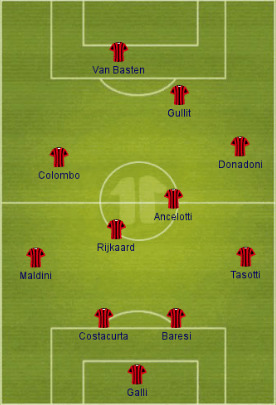 The great AC Milan teams of Arrigo Sacchi used a 4-4-2 to bring out the dazzling talents of the Dutch trio of Marco van Basten, Ruud Gullit and Frank Rijkaard. He played a compressed 4-4-2 with intense pressing, so that they could release their stars on the counter attack, giving them more space to work with. The team and the system dominated the era, winning two European Cups along with the league title in the late 80s. The formation has since faded away from prominence, as its tactical flaws have been brutally uncovered, but teams still utilize the formation. Leicester City and Atletico Madrid are notable present-day users of the 4-4-2, and have done so with considerable success. Most of the strengths of the 4-4-2 come from the inherent symmetry in the formation, with players equally spread across the field. This usually leads to players being free when the ball is turned over quickly, and hence 4-4-2 teams usually thrive playing counter-attacking football, much like Leicester and Atletico do now. Having two forwards means that build up time for a play is considerably lesser and a more direct style of play is possible, one with quicker transitions and longer passes. The 4-4-2 also has a lot of natural width, with wide wingers and full-backs roaming the flanks to supply crosses and stretch the defence side-to-side. The stretching of the defence creates space in the middle for the strikers to operate. The two central midfielders provide solidity and cover, giving the advanced players the license to express themselves. The formation provides defensive solidity and sets up the team to press high up to hit on the counter. The system is most effective against teams that commit men forward, and are thus susceptible to being hit on the counter. Quite ironically, a tactical tweak of the 4-4-2, the 4-2-3-1, played a major part in the exposure of its flaws as a tactical system. Managers realized the 4-4-2 was slightly disjoint in the transition from midfield to attack, and pushed one striker (with better on-ball skills) deeper to link play. Soon, managers realized having a creative midfielder in a more advanced role was more beneficial as it shored up the midfield, as well as more effectively linked play. Thus, the 4-2-3-1 was born. And it dominated the 4-4-2. The 4-2-3-1 had the same double pivot for defensive solidity, but with an extra man in midfield, dominated the ball and possession. With the advanced midfielder slipping between the lines of defence and midfield, the creative capabilities of the 4-4-2’s midfield was nullified, and they were dominated in the middle third of the field. The 4-4-2 is too rigid, and relies on their central midfield duo too heavily for both defensive and attacking impetus. The even spread of the players means the team must operate as a unit and be able to all perform multiple functions. A single weak link can lead to a complete breakdown, especially in defence. 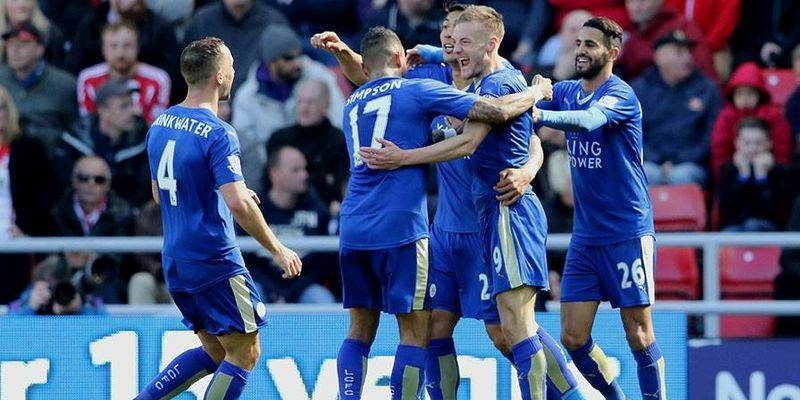 Last year’s Leicester team had just that, pressing vociferously as a unit throughout the ninety minutes, and releasing the pace and trickery of Jamie Vardy and Riyadh Mahrez on the counter, when space opened up. This season, with teams sitting back and defending deep against them, the Premier League Champions have struggled to create offensively, which underlines the key flaws in the system. In this season’s match between Real Sociedad (4-3-3/4-2-3-1) and Atletico Madrid (4-4-2), Sociedad ran away 2-0 winners, and it’s easy to see why. 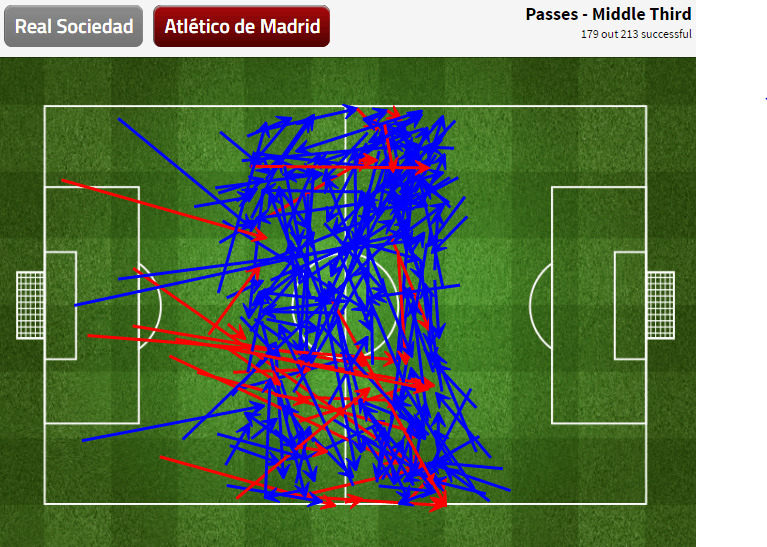 They dominated the middle third, making almost 90 passes more that Atletico in that zone. 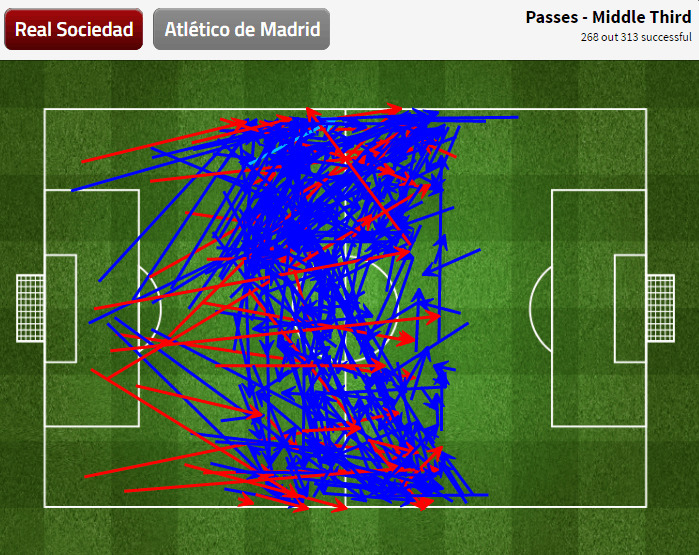 The below graphic shows that not only did Sociedad make more passes in that area, it’s clear that the passes made in the attacking half were of shorter length compared to Atletico. 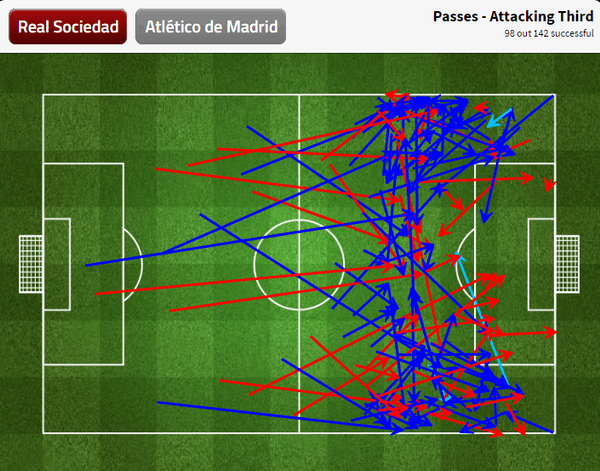 This meant Atletico were forced into risky, longer passes into the final third. 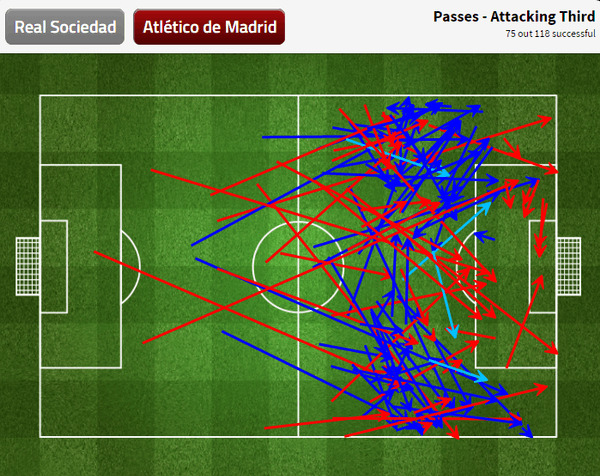 Atletico completed 65% of their final-third passes compared to Sociedad’s 70% as they were forced to go long to penetrate their opponents' defence. From these two graphics, you can get a better understanding of the flaws of the 4-4-2, and why it isn’t as effective and widely used as it was years ago. The 4-4-2 was once the basic building block of most teams, but as modern-day football has developed midfield play, possession-based football has come to the fore, rendering 4-4-2 obsolete. While still used by some teams, it is too rigid and demands too much from its players in order to be implemented successfully. 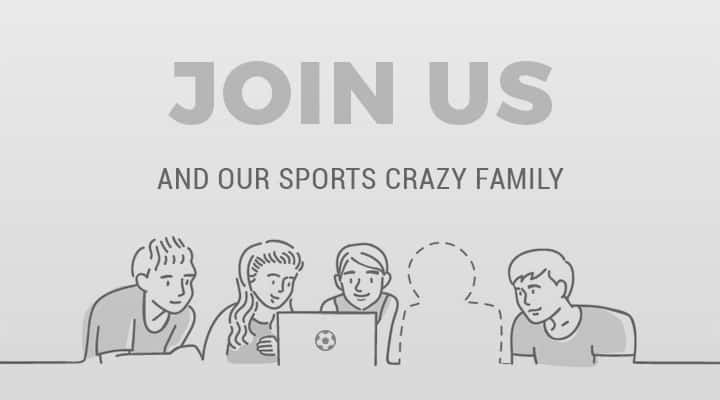 The formation has been a casualty of the fast-changing landscape of modern football, which requires a more fluid and dynamic approach to the game.